Sheepsheads are known for their vertical black strips against their white or grayish background, and mouth full of human like teeth. 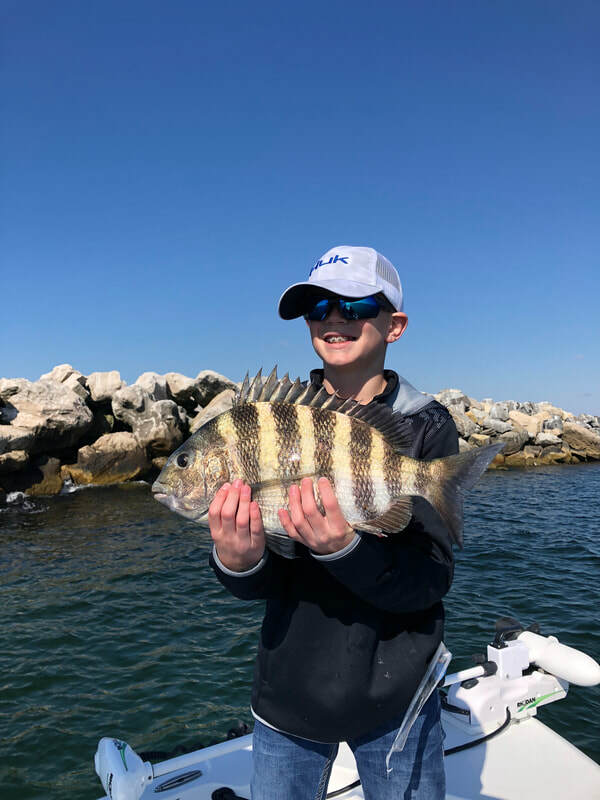 Sheepsheads in the Destin, Florida area average around 4-5lbs range and can be caught as big as 11-12lbs during peak migration. 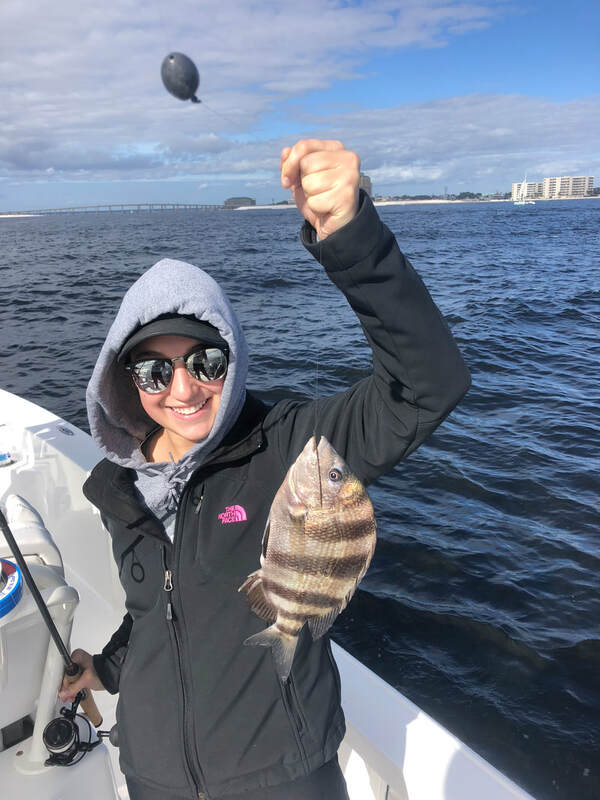 The Sheepshead is a species that can be found in Destin, Florida year around, but are mainly targeted from late October to early April. Like other species in the Choctawhatchee bay surrounding Destin, Florida the sheepsheads move from the bays to the gulf to spawn. 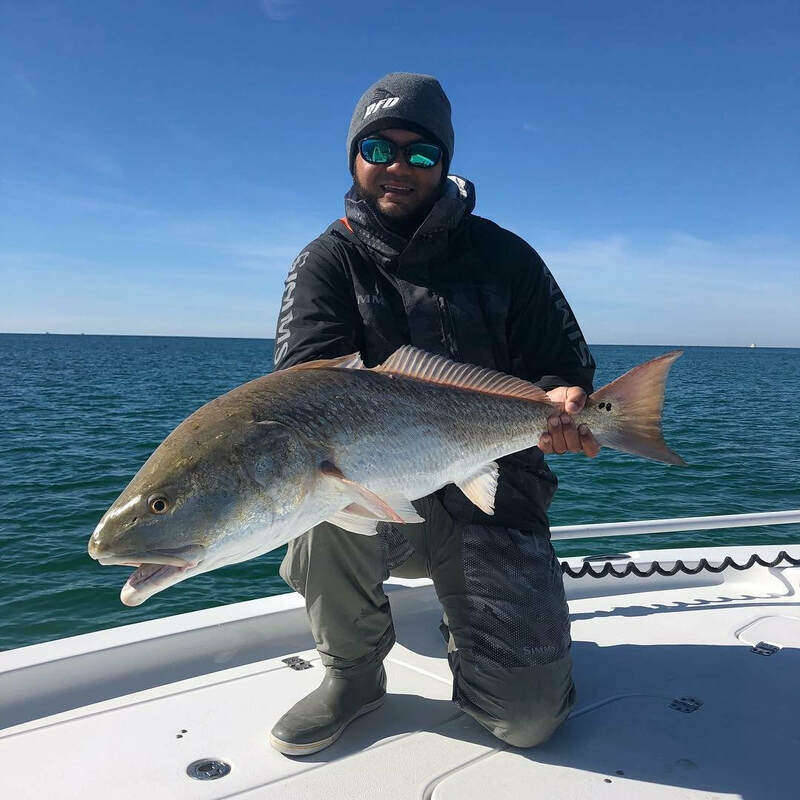 From late February to late March is the prime time of sheepsheads' migration pattern and is the peak time anglers target them in the Destin, Florida surrounding areas. As they prepare to move out to the gulf to spawn, they feed a lot causing them to be easy targets, unlike the rest of the year. Sheepsheads are one of the trickiest fish to hook, as they have a light bite are very smart. When targeting sheepshead you want to use as light of gear as possible. The most common way to rig up is using a carolina rig with a light fluorocarbon leader, small hook, and the lightest weight you can use depending on how strong the current is. 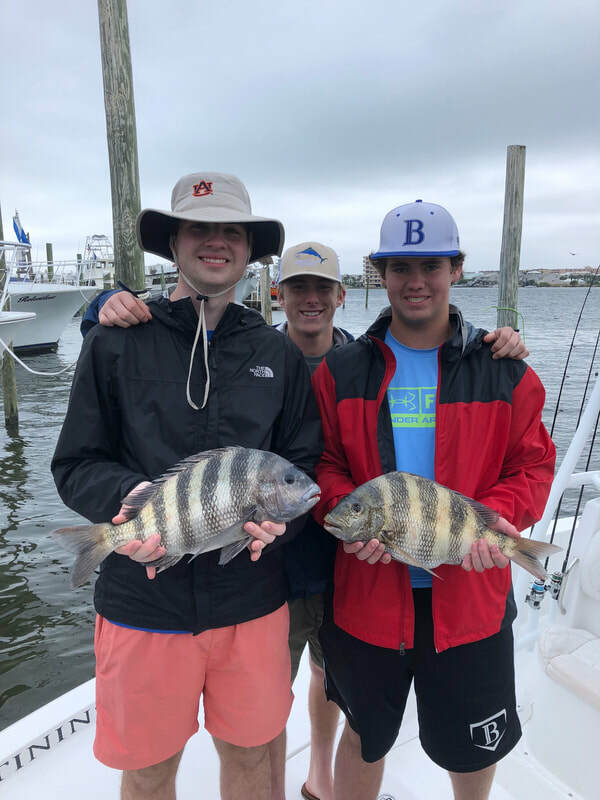 Sheepshead feed on a variety of crustaceans and shellfish making live shrimp, live fiddler crabs, and oysters common bait choices. 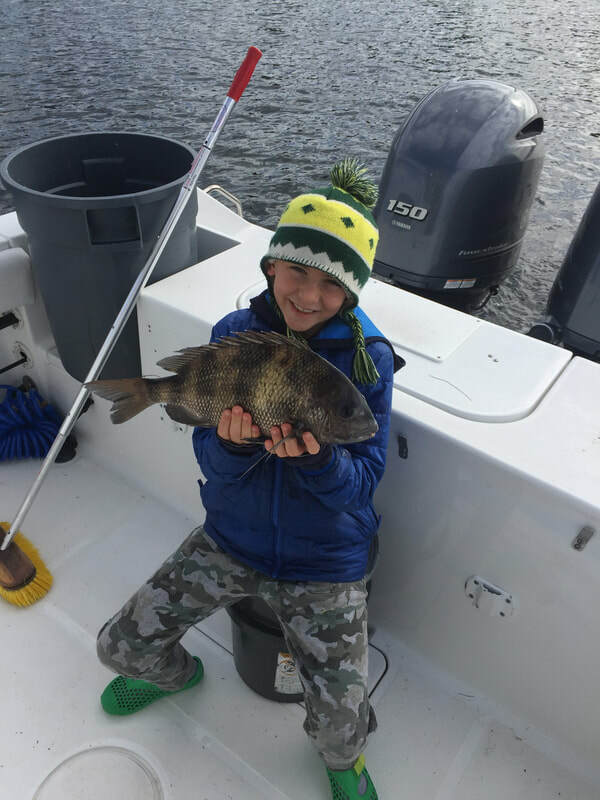 As for fishing tactics for sheepshead fishing, it is fairly basic. You want to have your weight on the bottom close to the structure you are fishing and wait patiently for the bite. When waiting for the bite hold your pole as still as possible and watch for the slightest bump of the rod tip. 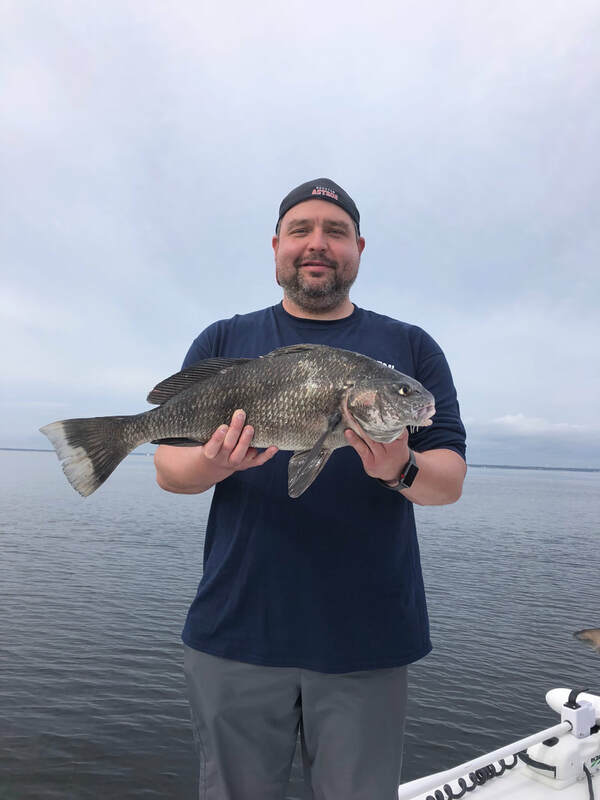 Sheepshead have one of the softest bites and the slightest bump can possibly one of the biggest sheepsheads you have ever caught. Always remember if you have a bait down for awhile be sure to reel up and check your bait as many times they will rob you without leaving any evidence of being there. 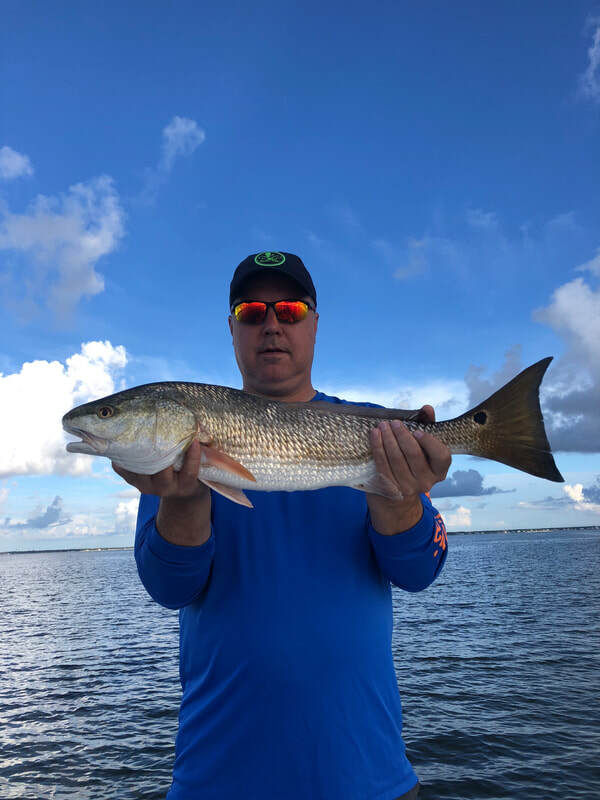 When targeting sheepsheads, they can typically be located around bridge pilings, jetties, oyster beds, and docks pilings throughout the choctawhatchee bay. As they make their move to the gulf as they spawn they can also be caught along the beaches while surf fishing. 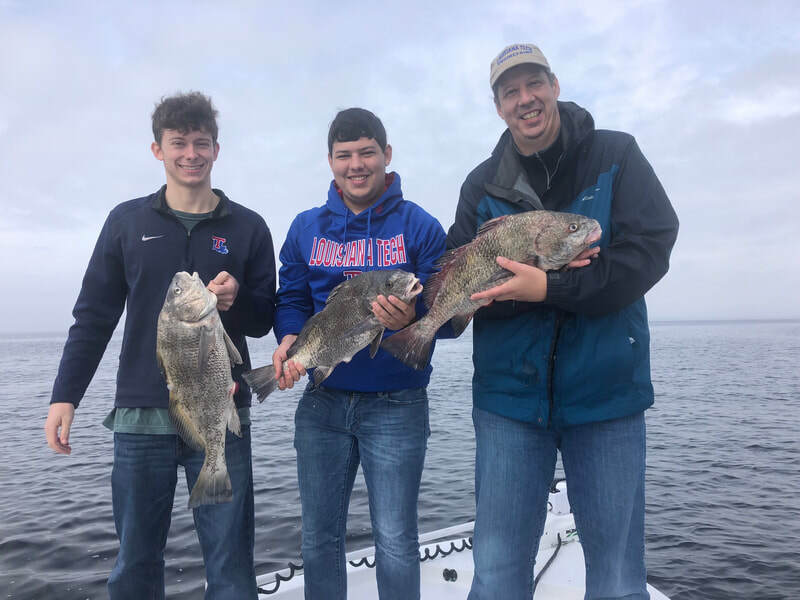 Although sheepsheads are known as one of the toughest fish to clean with their large rib bones and tough scales and are often overlooked when it comes to table fare, they are actually one of the best tasting fish caught in the bay. They have a great taste to their meat due to the primary diet being crustaceans. Being a white flaky fish there is no wrong way of cooking it, blackened, grilled, or fried are all great choices. If visiting the Destin, Florida area during the winter months or early spring sheepsheads are often one of the main targeted species on Destin Inshore Bay charters with Destin Inshore Guides. 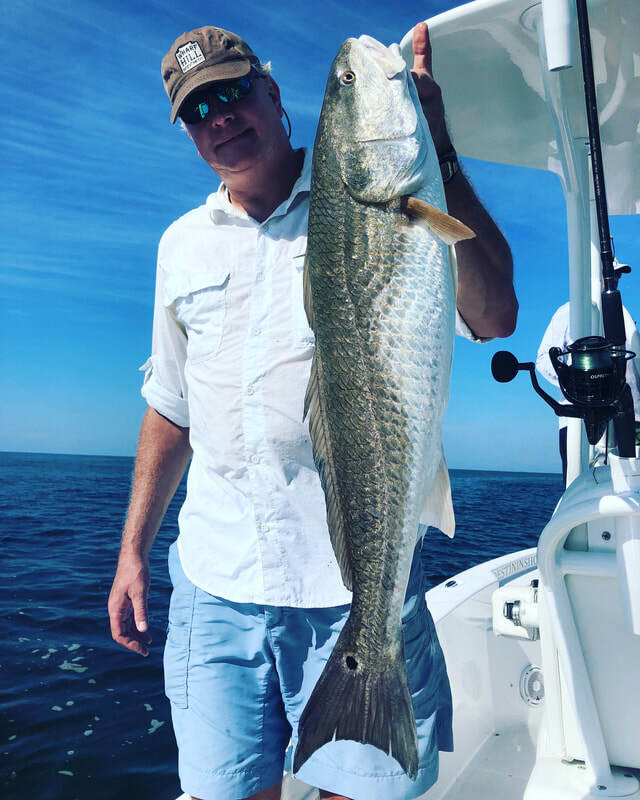 If you are visiting Destin on vacation and don't have any experience or gear, hiring a guide for the day is the best route. 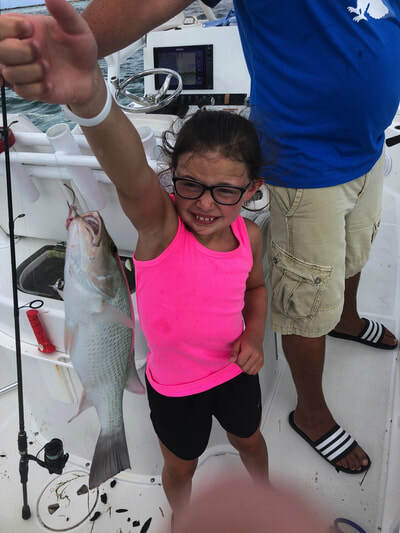 On all of our charters everything is provided except for food and drinks, making it an easy fishing adventure with an experienced captain, giving you the best chance of catching fish while of vacation. 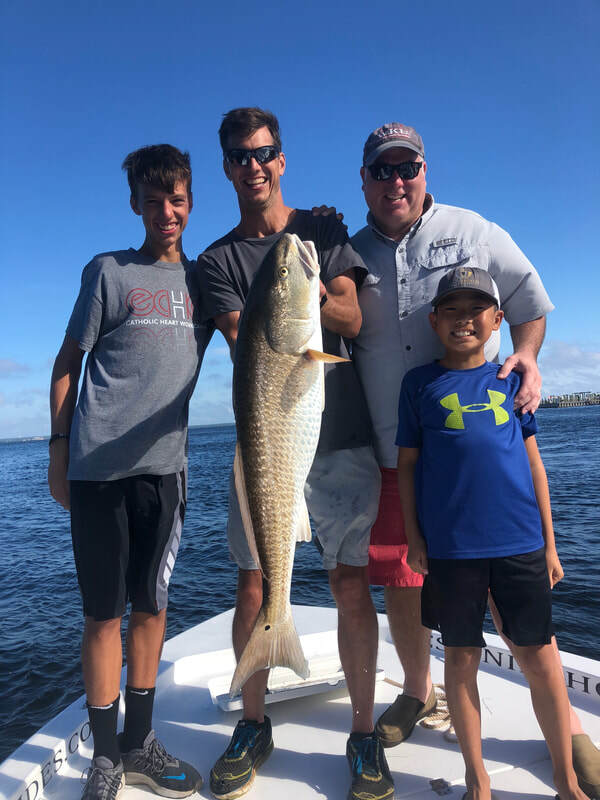 Email or call us today to reserve your next family fishing adventure in Destin, Florida. 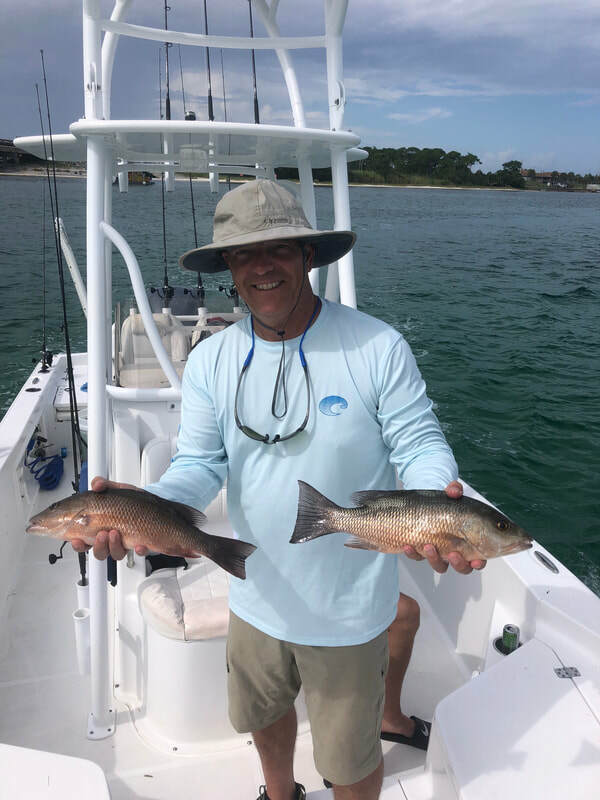 Destin Inshore Guides is proud to announce and introduce our captain for our Destin fly fishing charters, Captain Royce Dahnke. Captain Royce is a True native, being born and raised right here in Destin, Florida. Coming from a fishing heritage he is a 3rd Generation Fishing Captain in the Emerald Coast Area. Growing up Captain Royce fished the back bay waters of Destin, Fl with his father for fun. 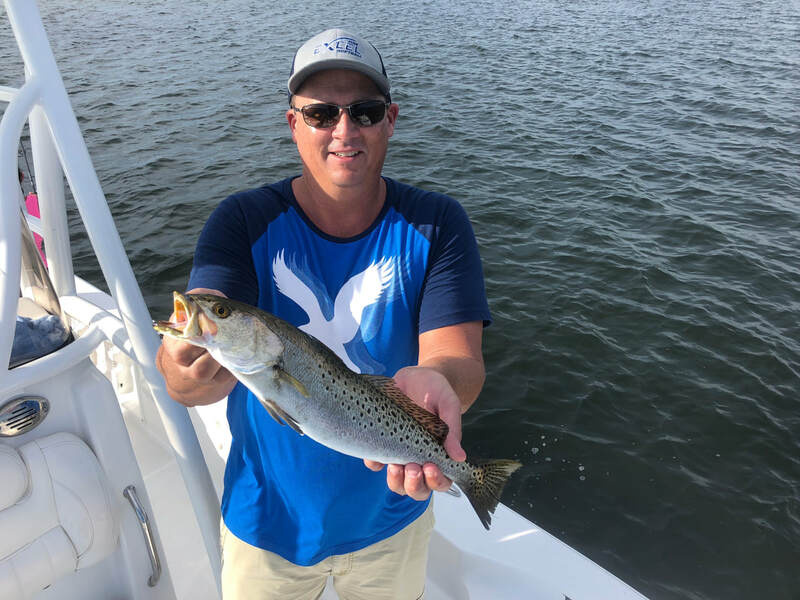 Throughout middle and high school he worked for his father as a deckhand doing offshore bottom fishing and trolling charters. 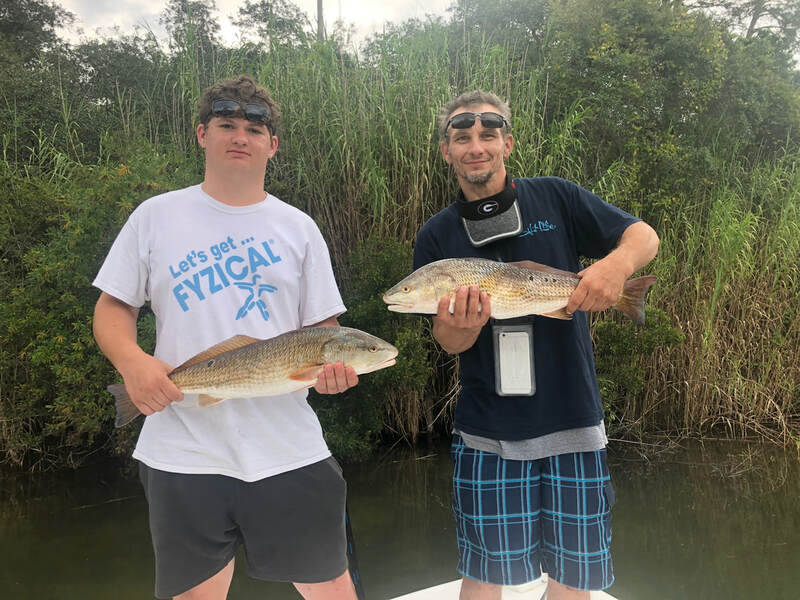 After graduating from high school captain Royce decided to continue pursuing his career in fishing and earned his captains license. 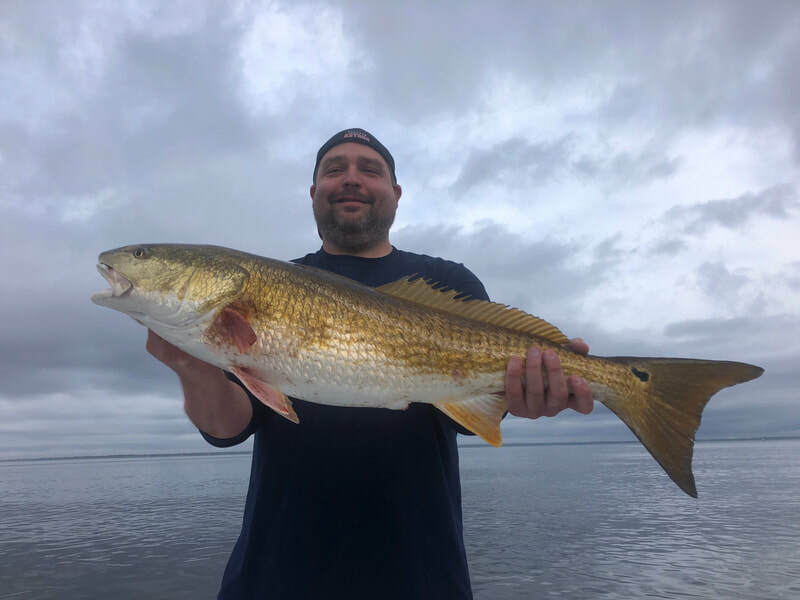 Now a days he focuses primarily on fishing the super shallow waters of the panhandle from Navarre to Panama City sightfishing for redfish on fly or light spin tackle. 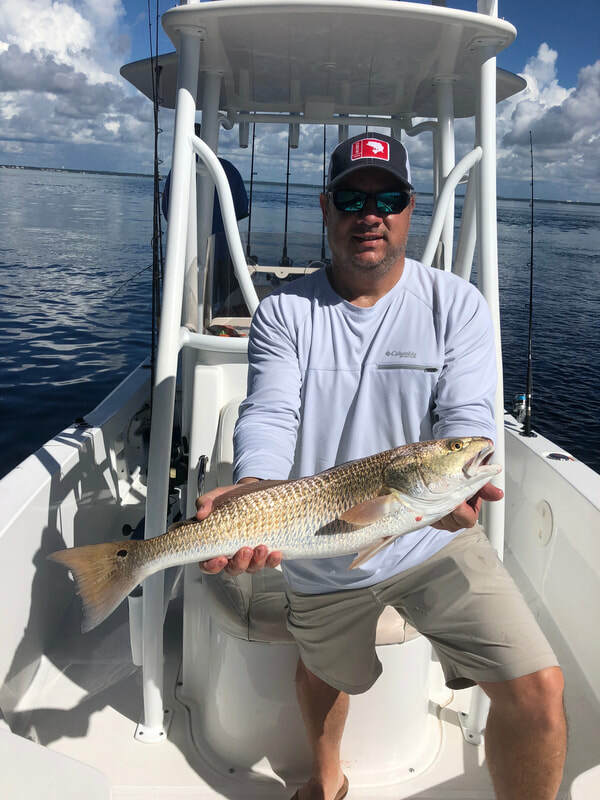 Captain Royce's biggest passion is fly fishing for redfish and tarpon, saying "he gets a big rush and great sense of pride watching a client hook up to a nice fish on fly." Captain Royce has been apart of the Destin Inshore Guides team since 2017, guiding Destin inshore bay charters and Destin near shore gulf charters. 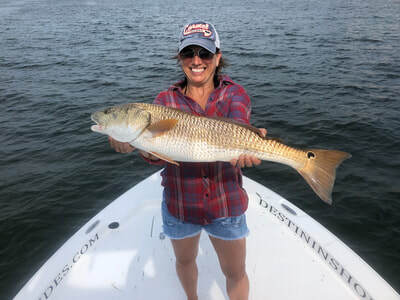 Destin Inshore guides is excited to be offering fly fishing charters for the 2019 Destin fishing season. Although captain Royce will be our designated fly captain on the skiff, he will continue to guide Inshore and near shore charters as well. 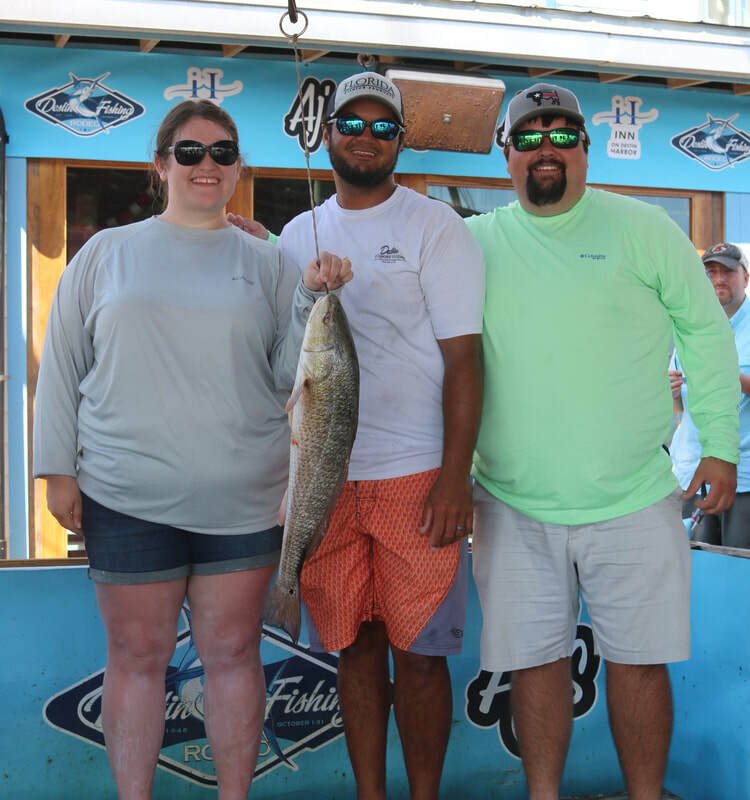 We look forward to seeing everyone for the 2019 fishing season. Don't forget Spring Break and Summer Break are peak seasons in Destin, Florida. If you plan on visiting during these months we do advise booking as early as possible, as we do book up solid during these months. 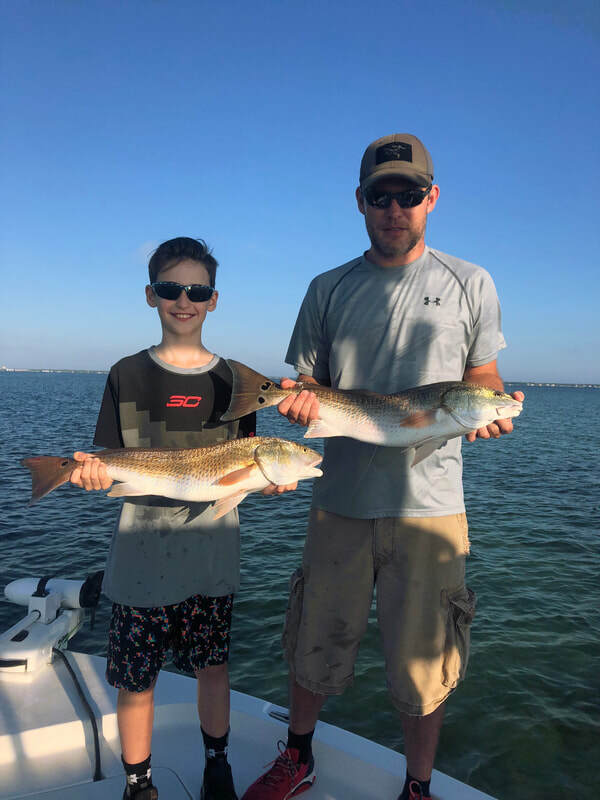 ﻿Email or call﻿ today to book your next Destin Fishing Adventure. The 2019 Destin, Florida fishing season is here, ARE YOU READY? 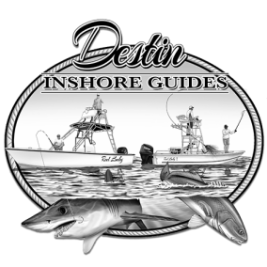 With the new year comes the new seasons and regulations for this years fishing season in Destin, Florida. 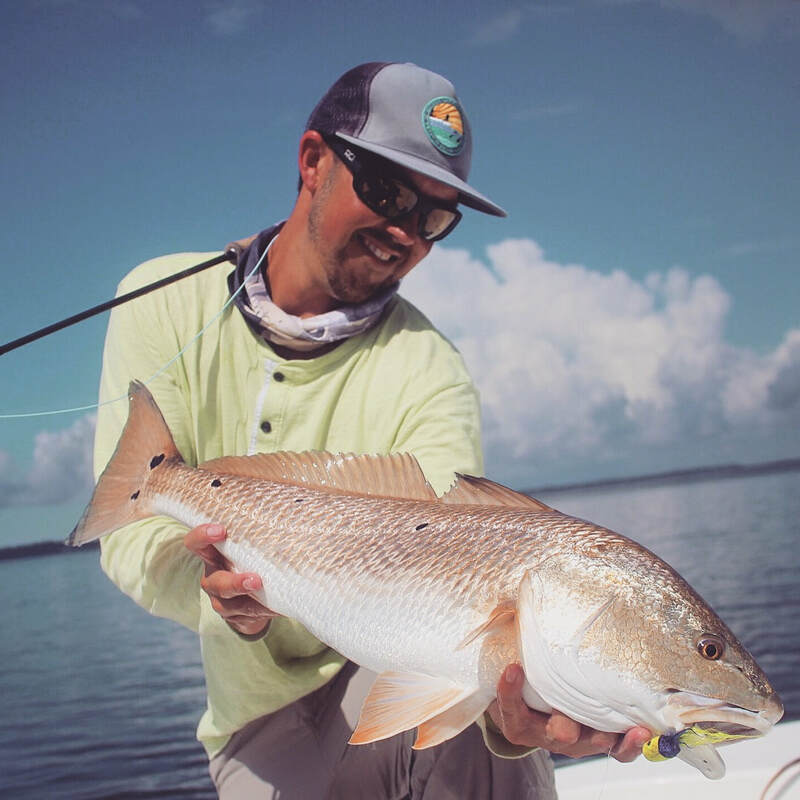 Every year the time frames also known as seasons and regulations for the different species of fish caught out of Destin, Florida change. These regulations are managed and governed by the FWC (Florida fish and wildlife conservation commission). These regulations are more important now then ever before, with more and more anglers taking the water each year. 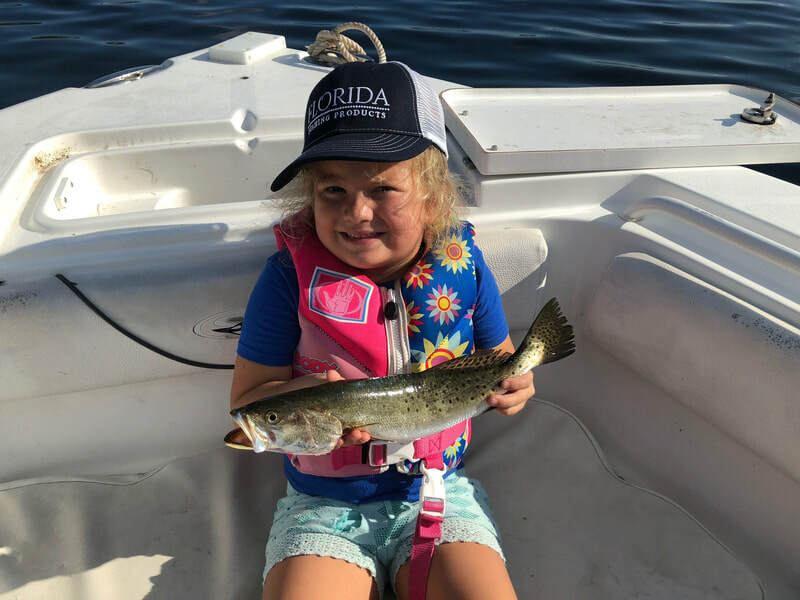 These regulations are put in place to help conserve the different species of fish to make sure they don’t get over fished and help replenish the species that have been over fished over the years, so we as well as our children can continue enjoying catching them in the years to come. 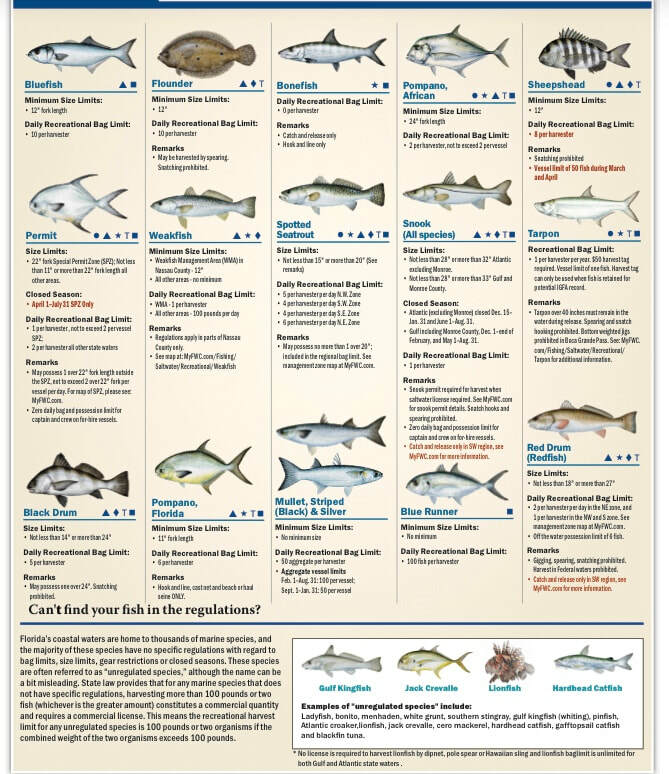 Below will be a list of the species along with their size regulation and open season for this year. These regulations listed are all reef fish caught in the Gulf of Mexico in State Regulated waters out of Destin, Florida. The different species of fish caught in the bays of Destin, Florida are open season year around. Remember if you are venturing out for a fun day of fishing in Destin, Florida check out the FWC website for all the up to date regulations, that way you don't ruin your fun day of fishing. 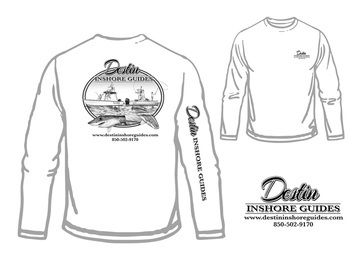 Happy New Years to everyone from the crew at Destin Inshore Guides. We started the year off right with getting out on the water with bent rods. 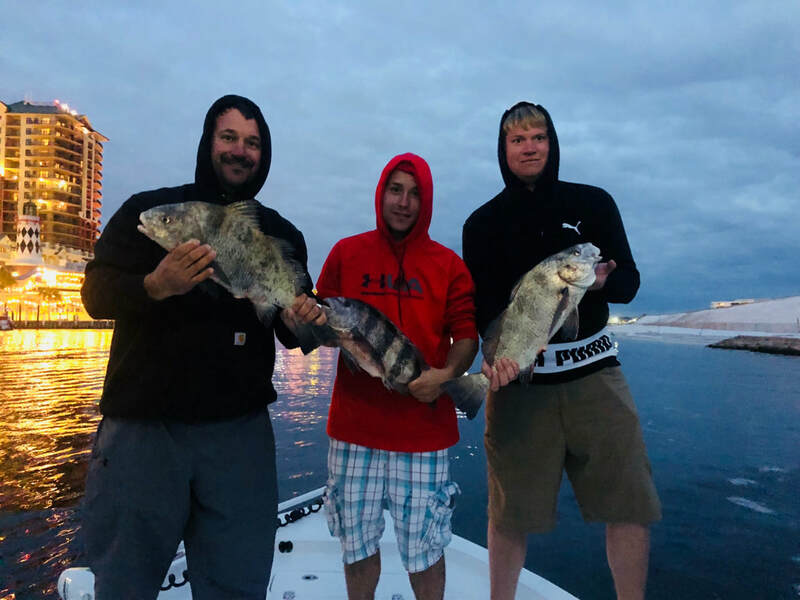 Thank you to the clients that were visiting Destin, Florida for new years and started the year off fishing with us. Our weather continues to have crazy swings and there has been no norm so far this winter. This past weekend we had our first true cold snap with temps getting down to 30 degrees. Hopefully with the pressure change with this cold snap it will get the bayou fishing right were it should be for this time of the year. We are still having several pretty days a week to get on the water so if you are planning a charter with us while visiting Destin, Florida soon we advise being flexible on dates if possible. In the back bay of the Destin Florida we are still focusing on deeper water areas to fish. This time of the year some of the most productive days are fishing around bridges and jetties. 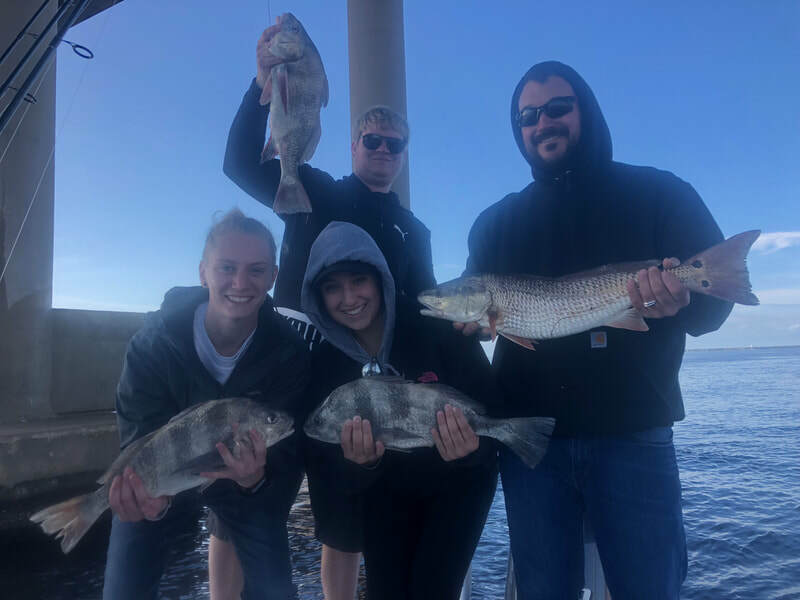 Some recent catches include redfish, blackdrum and sheephead around the pillings bridges. Sheepheads are one of the trickiest fish to catch but once you get the technique down, it will be one of your favorite fish to target. These fish are well known for their human teeth and their ability to clean you hook without leaving a trace of being there. So remember to keep a close eye of the rod tip, hold it as still as you can, and check your bait often because they are sneaky. 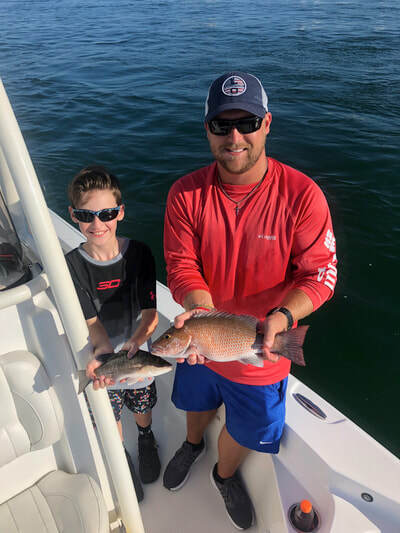 While fishing docks on recent Destin bay charters we have caught a mixture of redfish, sheepshead, blackdrum, bluefish, and speckled trout. 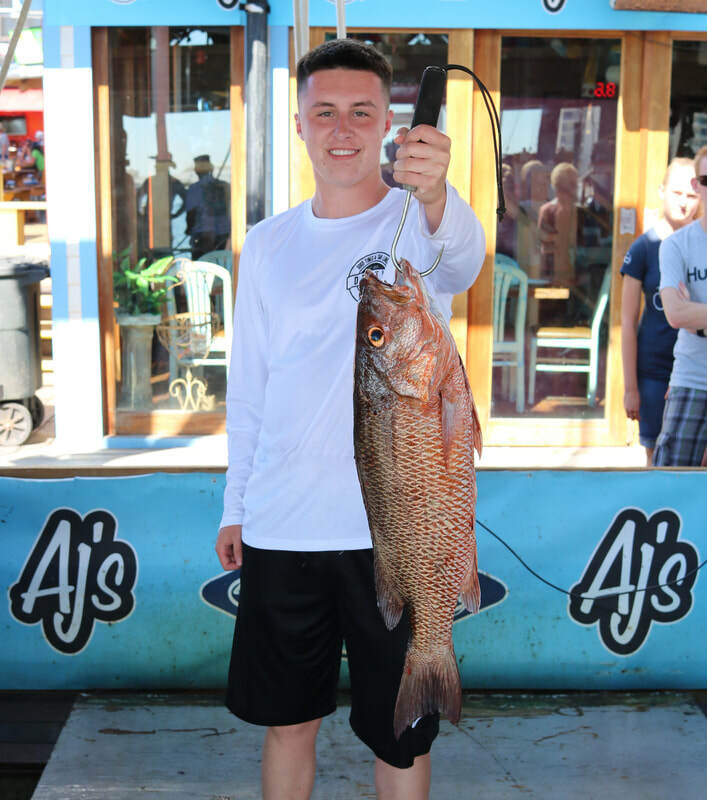 As for gulf fishing in Destin, Florida for this time of the year we are primarily focusing bottom fishing. With the new year the new season have been posted and the vast majority of species are still closed going into the season. These species include amberjacks, redsnappers, and triggerfish but there are still a variety of snappers to target. 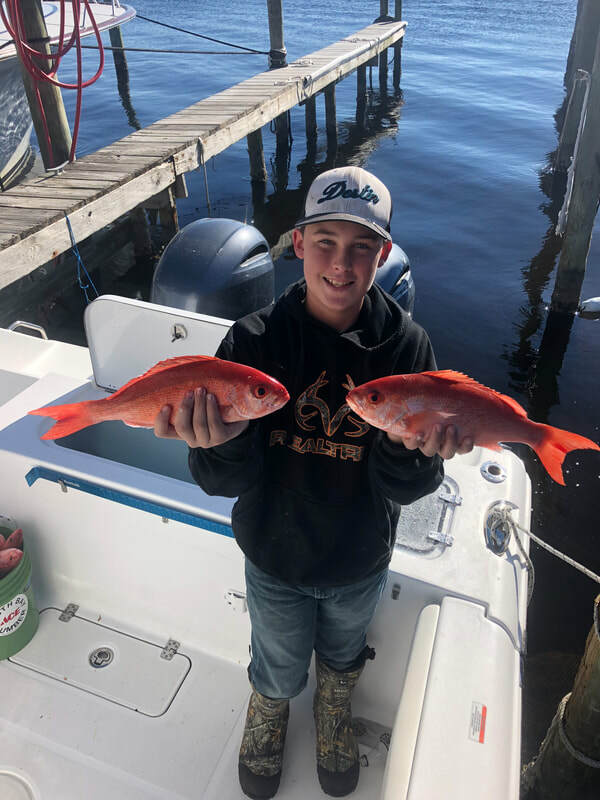 While bottom fishing we have been targeting mingo snappers, mangrove snappers, white snappers, and a variety of porgies which are all great eating. Although we cant keep triggers, amberjack, and redsnappers they are a blast to catch and they make awesome photos before releasing. 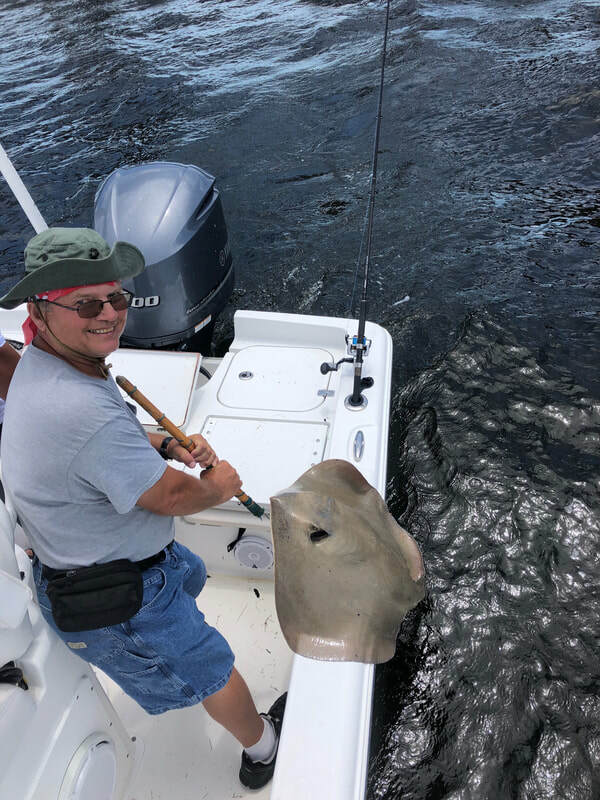 As always if you are looking for a pull of a lifetime while fishing in Destin, Florida there are plenty of shark around. 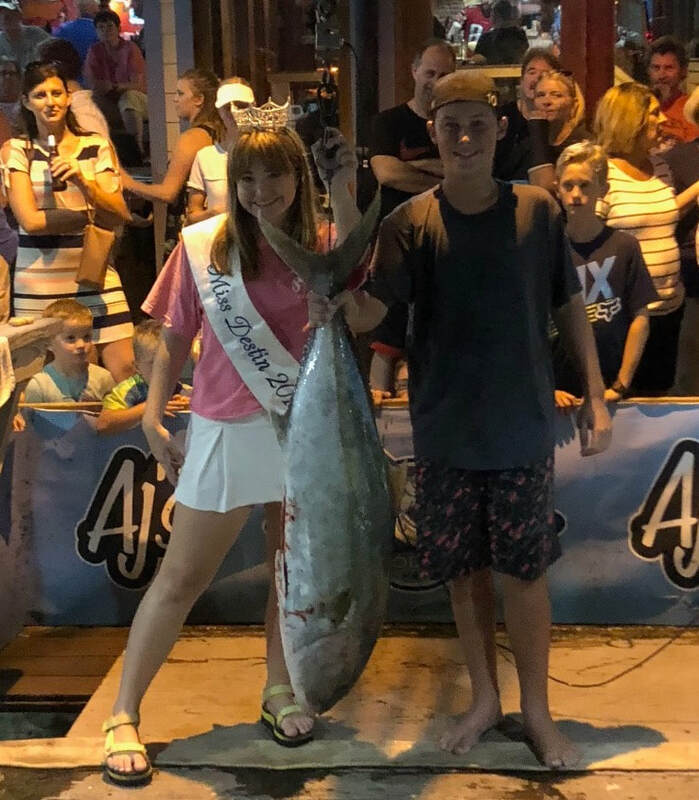 Stay tuned for our next blog featuring all the posted seasons for amberjacks, triggers, and redsnappers for our 2019 Destin Fishing Season. 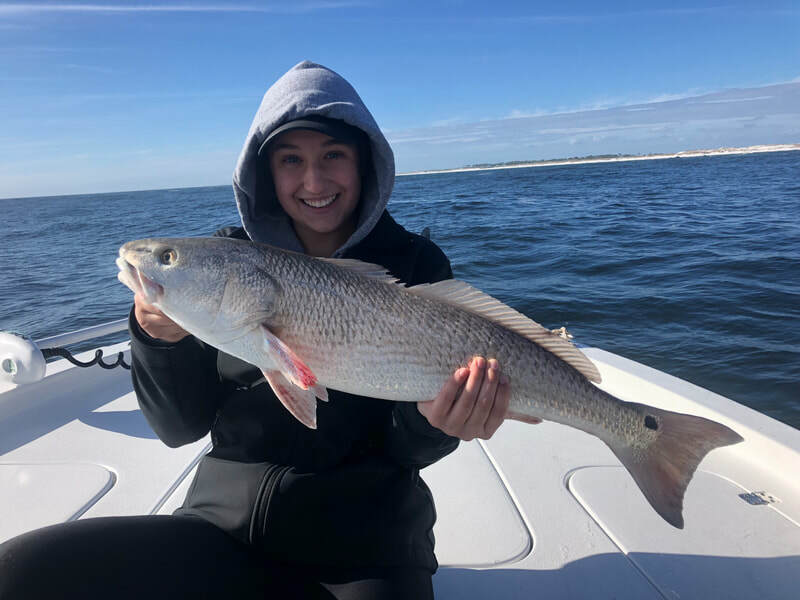 If you are planing a trip to Destin, Florida this winter, Destin Inshore Guides fishes year around so be sure to give us a call and let us take you out to catch your next memory of a lifetime. Till next time Tight Lines. It's the holiday season in Destin, Florida. Merry Christmas and Happy New Years to everyone. If visiting over the holidays there is plenty to do through the holiday season. Check out the Destin boat Christmas parade which concludes with fireworks on the harbor in Destin, FL. As for New Year eve Harbor walk village will be doing the annual pelican drop and there are plenty of places to hangout and have a great time along the harbor in Destin, Florida. 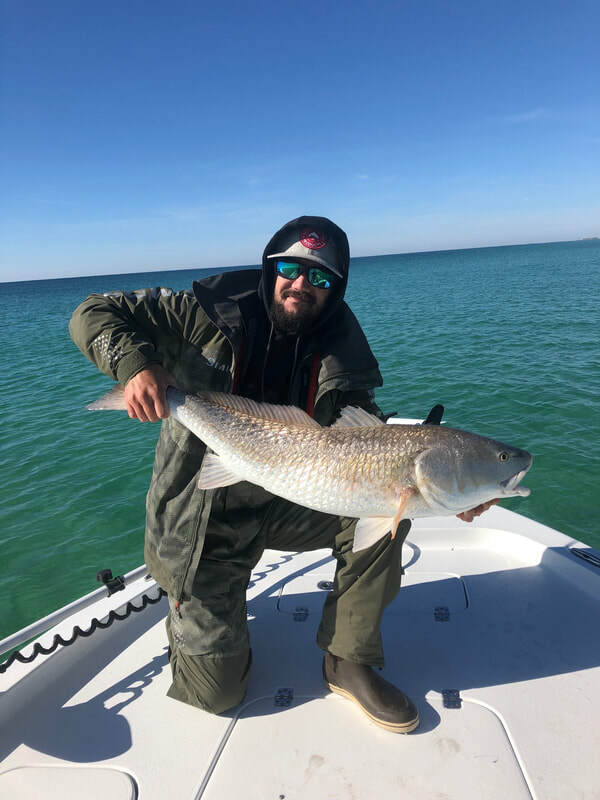 Here lately in Destin, Florida we have been having some crazy weather patterns but are finding a few days pretty days a week between the fronts to get our Destin inshore fishing on. There are fish to be caught but with cold fronts coming through some days can be tougher then others. 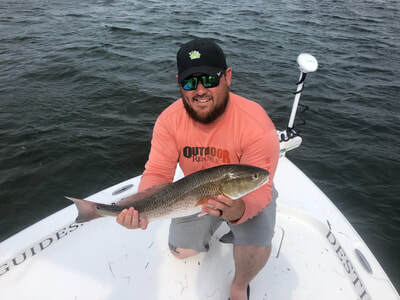 Keep in mind with cooler water temps fish are a lot less active and it tends to take a little longer to get bites as fish are roaming around slower. So while fishing don’t give up too soon and keep at it. 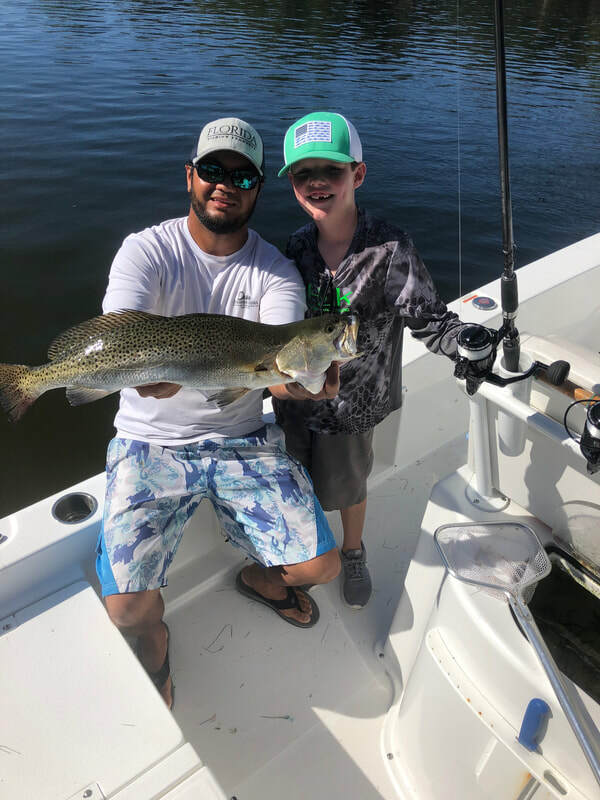 In the back bay of the Destin Florida it’s that time of the year the speckled trout migrate towards the rivers to get ready to spawn over the next couple months. As the vast majority of the trout will be found close to the rivers and in the rivers there are still a few around in the bayous to be caught. Remember if using lures to slow your retrieve down. Its also that time of the year to start seeing the bull reds working baits in deeper water. You can generally find the redfish in the deep water with the help of the birds. If you see birds working the water it’s always a good sign and generally a for sure sign that there are predator fish feeding and pushing the baits to the surface. Here lately we have also been catching blackdrum and sheephead around the pillings bridges. Yup it’s time for the annual cleaning of the bridge pillings. 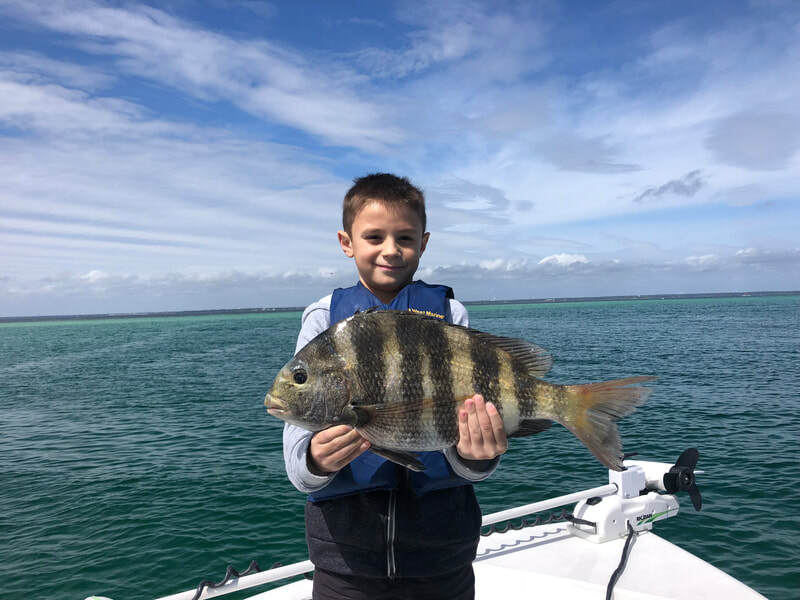 Make sure to bring a scraper or shovel fishing if you’re targeting sheepshead so be able to scrap some barnacle off the pillings to chum the sheephead up. 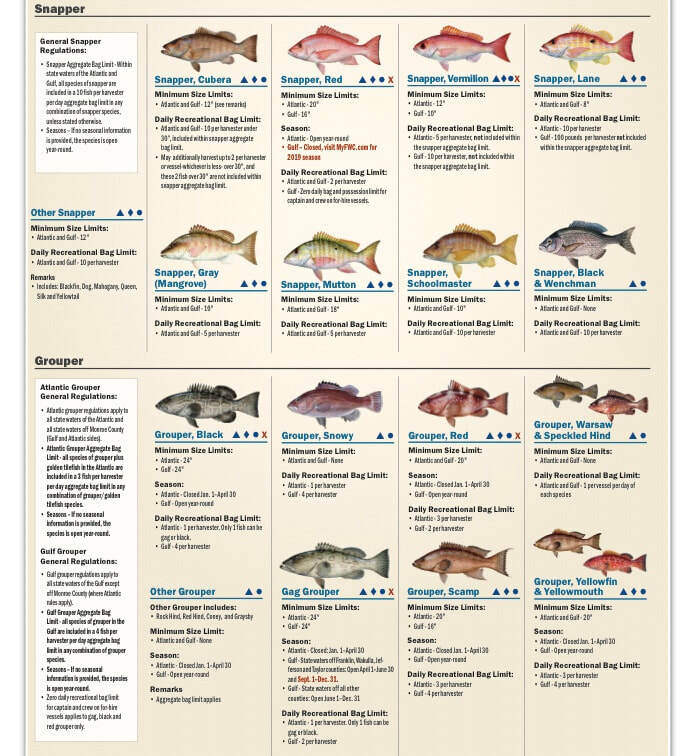 If fishing docks look for a mixture of redfish, sheepshead, blackdrum, and speckled trout. As for gulf fishing the primary type of fishing going on is bottom fishing. 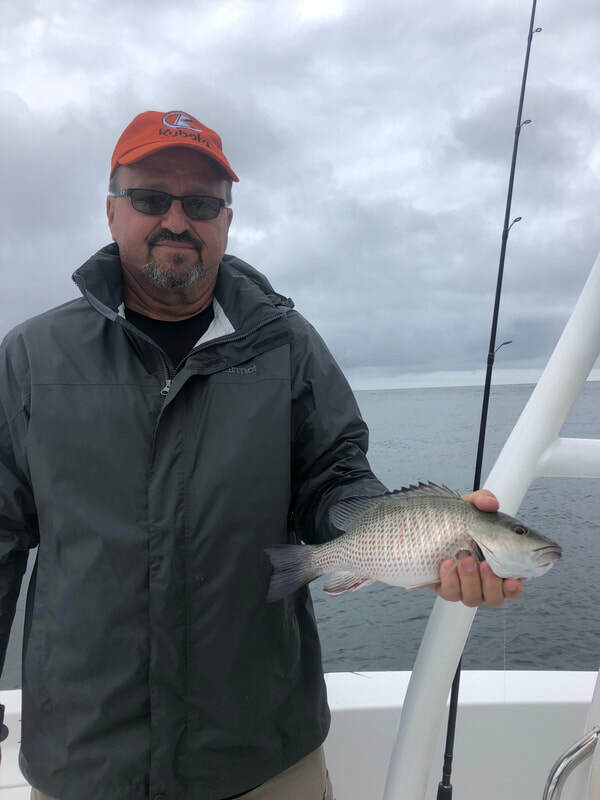 The vast majority of species are closed for the year including amberjacks, redsnappers, and triggerfish but there are still a variety of snappers to target. While bottom fishing we have been targeting mingo snappers, mangrove snappers, white snappers, and a variety of porgies which are all great eating. There is plenty of action though between triggers and redsnappers to have a blast and they make awesome photos before releasing. Although it hasn’t been the best year for flounder there flat fish are still around and can be caught on inshore wrecks. 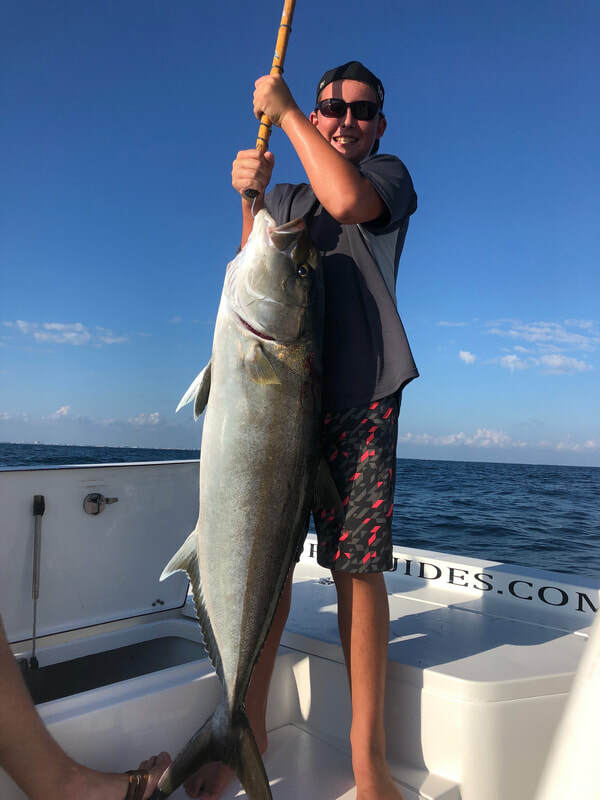 Check back next month as the new seasons for amberjacks and trigger fish will be announced for the 2019 season. 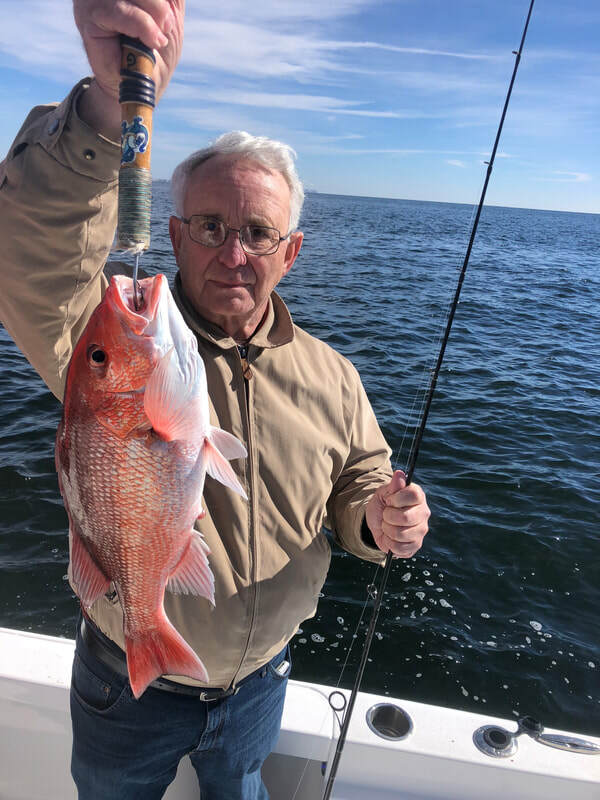 Redsnapper season is generally not finalized til around April. It's November, colder weather and hunting season is upon us. The days are shorter and the temps are colder but there is still fish to be caught. The challenge this time of the year is finding pretty days to get on the water with fronts coming through frequently. This is one of my favorite time of the year to fish because sometimes it feels like you have the entire bay or gulf to yourself. 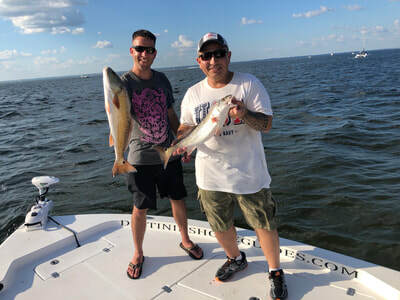 On our Inshore bay fishing charters the bite has been good most days. The cold weather has cooled down the big time and we are no longer seeing red tide. All of the bait has moved to deeper water and our main two baits now are live shrimp and artificial lures. In the fall and winter when the water temps drop fish begin to move slower so remember to be patient and work any artificial lure slower. As far as what is being caught we have been seeing good numbers of blackdrum around structure. 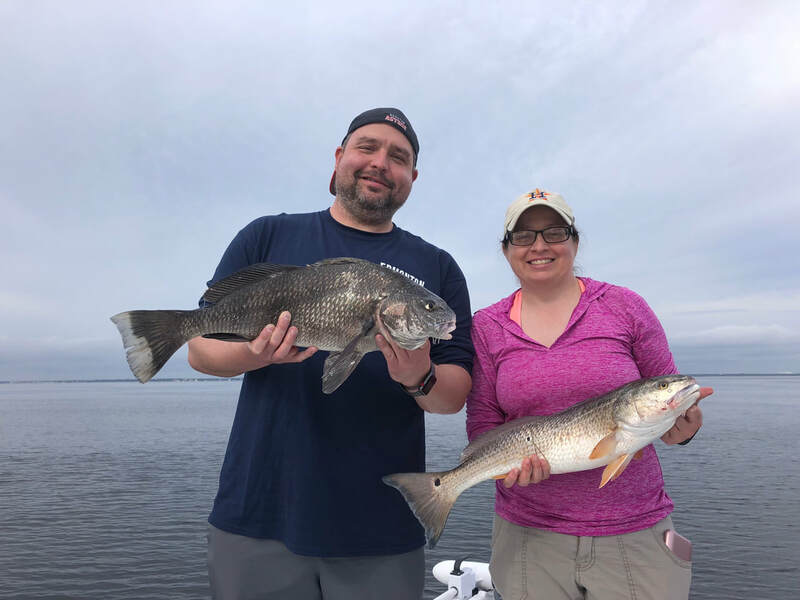 While fishing for blackdrum we are also catching redfish and some sheepsheads as well. 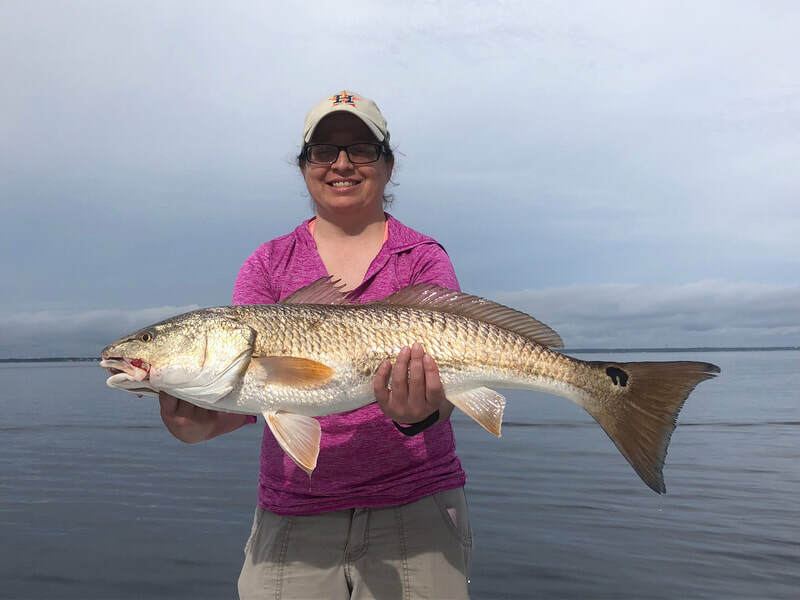 In the back bay there is a mixture of redfish, speckled trout, and white trout to be caught. Majority of the flounder have migrated out to inshore wrecks in the gulf but there are still some to be caught around the bay. On our near shore gulf charters we are primarily bottom fishing with majority of the surface biting fish like king mackerels moving offshore. Always keeps your eyes open though because with cooler water temps we do see blackfins move to the beach. We have been seeing some on the tidelines and around schools of bait inshore. 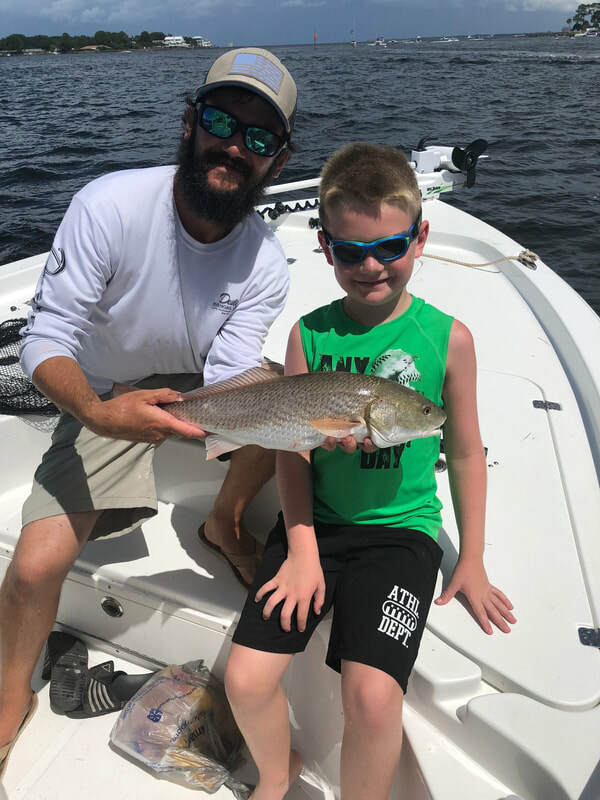 While bottom fishing the vermilion snappers "aka mingos snappers", white snappers, and flounder are our prime targeted species with majority of the other fish being closed season. 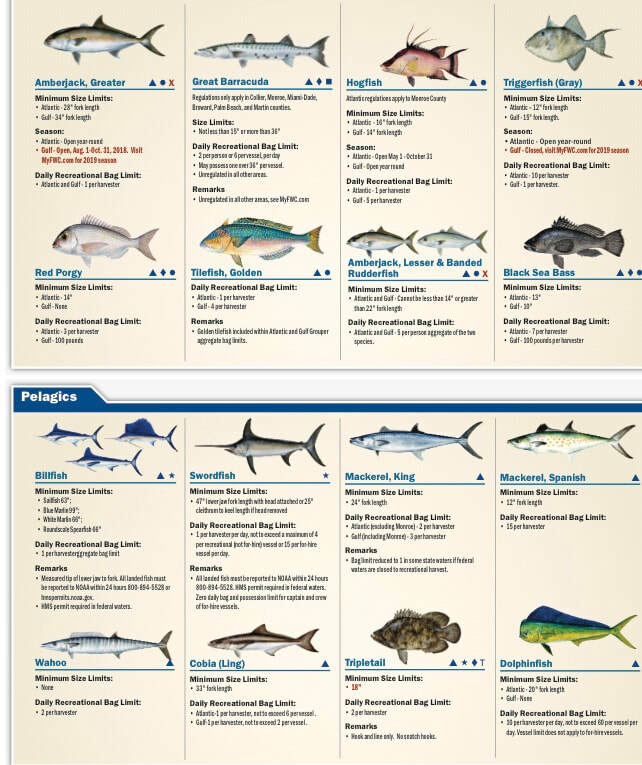 There are lots of amberjack, Redsnappers, and Triggerfish but don't forget they are closed for the rest of the year. This is the time of the year that Flounder migrate to inshore gulf wrecks, If you catch one there are usually plenty more around. 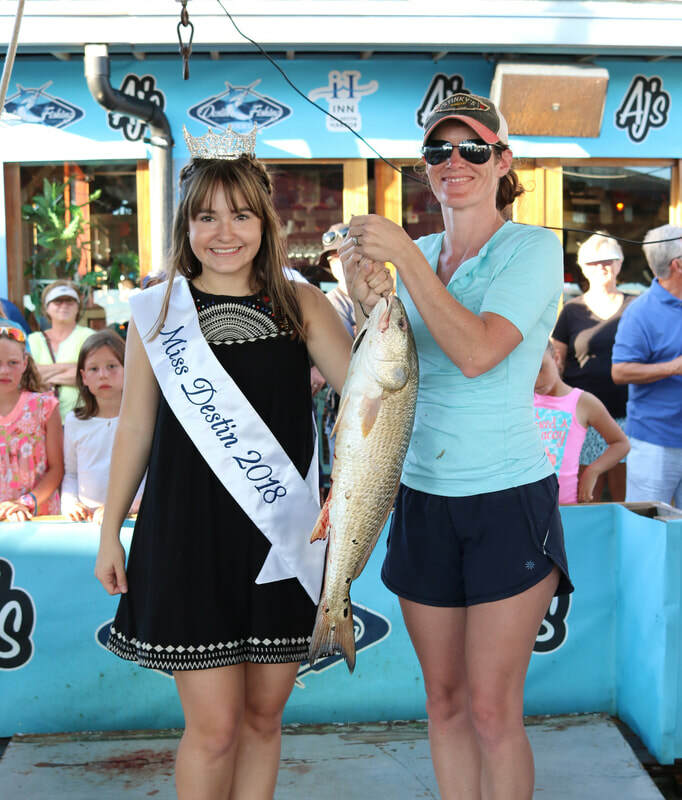 If you are planing a trip to Destin, Florida this fall or winter, Destin Inshore Guides fishes year around so be sure to give us a call and let us take you out to catch your next memory of a lifetime. Till next time Tight Lines. Wow, how is Summer Break 2018 already coming to an end. Some kids started school last week while others started back today. Sounds like there are only a few areas that still have a week of summer break left. What an incredible summer it has been in Destin, Florida. We couldn't of asked for better weather with only having a handful of days were it rained all day. You can definitely tell its August with hot summer days. The next several weeks are typically the best time for the ones not tied down with kids going to school to plan a vacation to Destin, Florida. The weather is still perfect and there is hardly any crowds with all the kids going back to school. Some days you may feel like you are on a private secluded beach with very few people. On to what what has been biting. On our Inshore bay fishing charters the bite has been good. 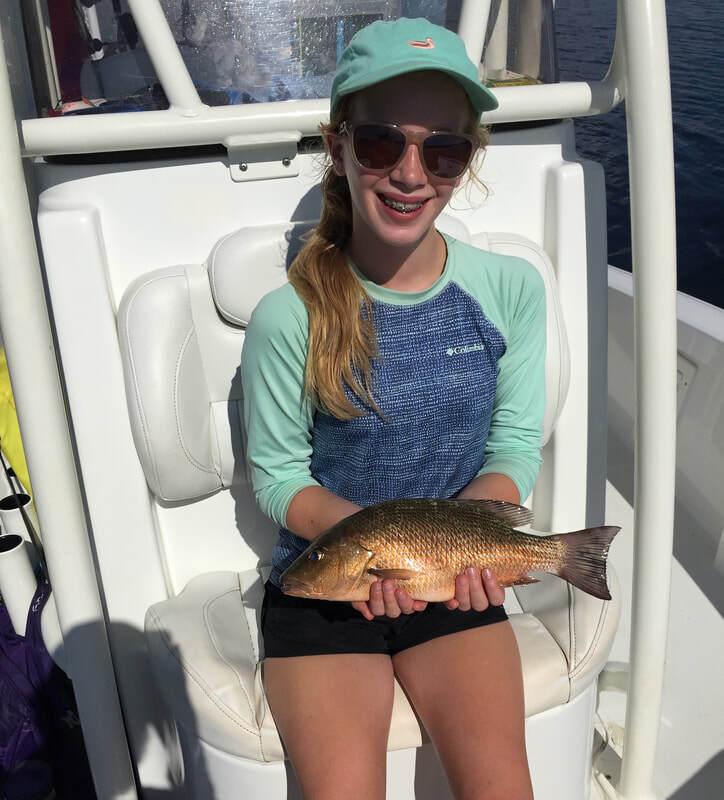 The mangrove snappers continue to be a hot bite and we are still targeting them heavily. What a great dinner these fish make. 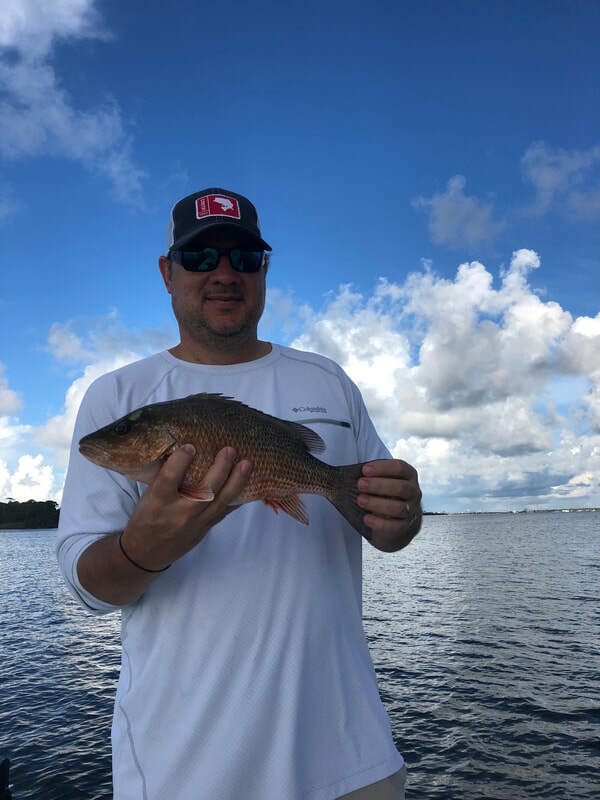 Along with the mangrove snappers the next main species that we are targeting are redfish. The next couple months are the prime time for targeting Bull Redfish as they get ready for their spawning time they will be feeding more and more on the out going tide. This is the best time of the year to target the trophy sized ones as they are gorging themselves and majority of the fish will have huge full bellies. 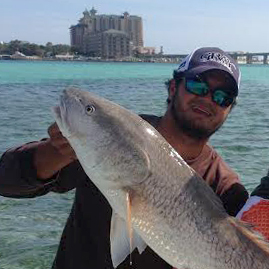 If you are serious about targeting bull reds we book these trips based on the out going tide. Some days it may be in the morning while other days it could be later in the afternoon. With the abundance of bait hanging around we are also catching a variety of other fish including spanish mackerel, bluefish, and jack crevalle. Our on our near shore gulf charters we are targeting spanish mackerel, king mackerels, and bonitas while trolling. As of August 1st the trigger fish and Amberjacks have reopened. The Red snapper season closed for 2018 on July 20th and will be on the list of species to catch and release. 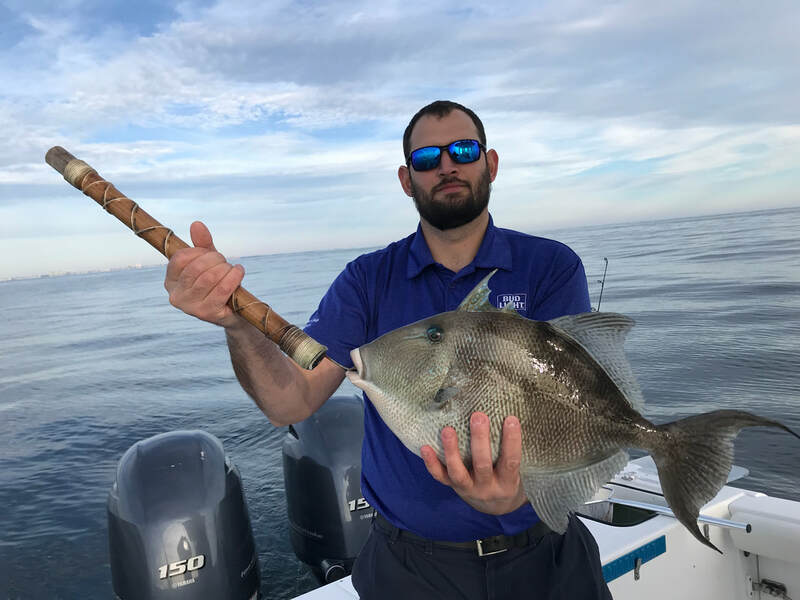 While bottom fishing in the gulf the targeted species are trigger fish, vermilion snappers "aka mingos snappers", white snappers, and amberjack.